*Supported by an ESRC Priority Brexit Grant on 'Brexit and UK and EU Immigration Policy'. Yesterday, the European Parliament (EP) and EU Council finally agreed on a proposal to waive visa requirements for UK citizens travelling to the EU after Brexit, whether the UK leaves the EU with a deal or not. This still needs to go through the formal steps of approval by the European Parliament and Council, but it’s unlikely that the law will be rejected at this point. (An EP committee has already voted for it. Update: so has the EP plenary and the Council, and the law was published in the EU Official Journal on April 12). 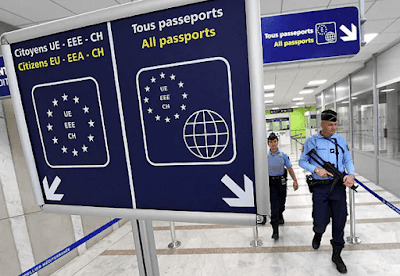 The final version of the law, which will amend the main EU Regulation setting out which countries’ nationals do and don’t need a visa to travel to the Schengen States, is straightforward. 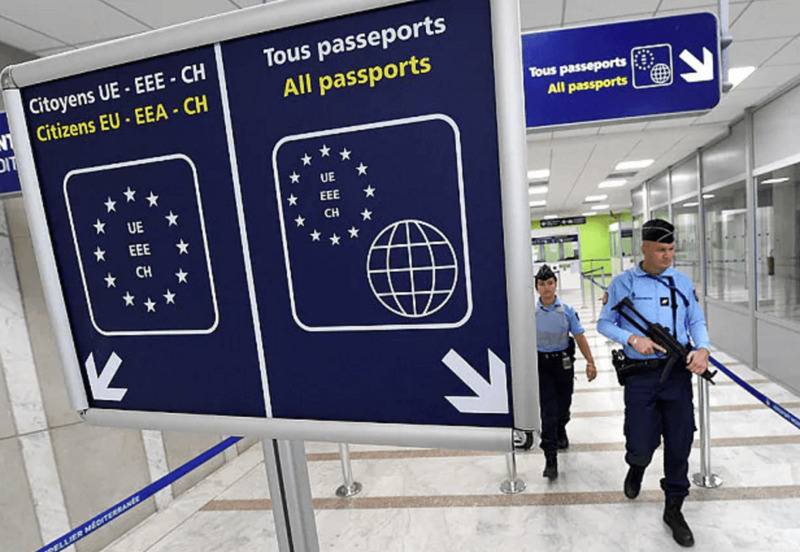 It will add the UK to the so-called ‘white list’ of countries whose nationals don’t need a visa to travel to the Schengen States, for a period of 90 out of 180 days. It will also put travel documents issued by the Gibraltar authorities on the whitelist, with a footnote asserting that Gibraltar is a ‘colony’ of the UK. (Update: see the UK statement on this). Any Brexit supporters upset about this perceived injustice to Gibraltar may wish to consider that it is only happening in the first place because the UK is pursuing a policy which the vast majority of Gibraltarians voted against. The footnote on Gibraltar differs from the European Parliament’s position on the proposal. However, during negotiations, the EP agreed with the Council’s position on this point, while in return the Council agreed with the EP position inserting slightly stronger language on the requirement of reciprocity (ie, the UK is expected, like every other country on the visa whitelist, not to impose a visa requirement for any EU country. This is unproblematic, as it’s UK government policy not to impose visas for these States). The law will apply to all EU countries except Ireland, which has a common travel area with the UK and opts out of EU visa policy and related laws. While several other EU countries are not fully part of the Schengen area yet (Cyprus, Croatia, Romania, and Bulgaria), these countries apply the Schengen rules on visa lists. The law will also apply to non-EU countries associated with Schengen (Norway, Iceland, Switzerland and Liechtenstein). It should be noted that a short-term visa waiver is for visits only: it does not constitute free movement of people between the UK and EU. The EU’s visa Regulation leaves it up to each Member State to decide on whether to require a visa for ‘paid activity’, a term which is not further defined in the legislation or in CJEU case law. The rules of the World Trade Organisation equally leave it up to each WTO Member whether to impose a visa requirement for provision of services. So UK citizens carrying out paid activity in the EU after Brexit – or vice versa – may face further hurdles, depending on the national law of the EU Member States on the one hand and the UK on the other (the EU has not harmonised Member States’ immigration laws on non-EU citizens on this issue). Longer-term residence by UK citizens in the EU (leaving aside Ireland) will not be impossible after Brexit, but nor will it be as easy as under the free movement rules. Rather it will be subject to the national law of EU Member States, as partly harmonised by EU law (on issues such as single work/residence permits, highly-skilled workers (Blue Card), family reunion, intra-corporate transferees, seasonal workers, students and researchers, and long-term residence). Also, the visa waiver will not exempt UK citizens from the full application of other border control laws of the EU. This means that in principle UK citizens will be subject to going through the slower lanes at passport controls, to the EU’s entry-exit and travel authorisation systems when operational, and to UK citizens potentially being listed for refusal of entry in the Schengen Information System due to previous criminal convictions, security concerns or breaches of immigration law. Note that the travel authorisation system is not technically a visa as such: although it is a form of advance control of entry, the cost, length of validity and simplicity of application is easier than for a travel visa. It’s sometimes argued that applying the ordinary border controls rules to UK citizens is a form of ‘punishment’ by the EU, but this is not remotely a serious argument: unless otherwise agreed, the UK will be treated the same as any other non-EU country with a visa waiver and without a free movement arrangement with the EU, which is what the UK government chose to define the Brexit vote as meaning. It is the obvious corollary of the ‘take back control of borders’ slogan used by Leave campaigners. The real punishment is suffered by those who have to listen to the whining of people who are unable to take responsibility for the obvious and predictable consequences of their own decisions. Note that if the withdrawal agreement is ratified, free movement will still apply between the UK and the EU until the end of 2020, although this transition period might be extended by a single period of one or two years. In this scenario, the visa waiver will only really be relevant after that point, when (contrary to some false claims) free movement of people will end, unless the UK decides that, contrary to current UK government policy, it is willing to agree to a free movement system after all. The withdrawal agreement will also protect the status of UK citizens in the EU living there before the end of the transition period, which will otherwise primarily be left to national law of the Member States, as discussed here. Finally, it should be noted that like other EU legislation on Brexit, this legislation is unilateral. Sometimes the EU agrees visa waiver treaties with non-EU States (for instance, with several Commonwealth States or Brazil), and sometimes it doesn’t, but exempts them on its own initiative, subject to an expectation of reciprocity (for instance, the USA, Canada and Japan). This isn’t a visa waiver treaty, so it’s not up to the UK to agree. And the UK does not have a vote on the law while a Member State either, because it opts out of Schengen visa policies. Someone was asking on Twitter what the situation would be for people travelling from the UK into the EU27 after no-Deal Brexit with controlled medicines for personal use. Obviously movement of products is totally different from free movement of people – just a glance at the island of Ireland and the difference between the Common Travel Area which solves most (not all) of the problems of having an external border for people, whereas the Northern Ireland protocol is all about products is enough to tell us this. As far as I know, there is no current proposal from the EU that would deal with movement of products in the event of a no-Deal Brexit, in the way that the legislation Steve reports on here deals with movement of people. Simply put, EU law on medicines covers the rules according to which medicines may be marketed in the EU. Medicines complying with those rules can cross internal borders within the EU. That’s the case for medicines moving for commercial reasons. EU law does not cover importation of medicines for personal reasons: that’s a national competence, as cases such as Case C-212/03 Commission v France demonstrate. That said, national rules on importation of medicines for personal reasons have to be compliant with general EU law on free movement of goods: that is, they must not impose an unjustified restriction on products crossing internal EU borders. The Withdrawal Agreement would continue the application of those rules during the transition period, until the future EU-UK trade relationship(s) was/were sorted out. Presumably such a trade relationship(s) could cover these kinds of questions, just as the current Treaty on the Functioning of the EU does at the moment (it is, after all, a trade agreement). But a no-Deal Brexit leaves national law unconstrained in this regard. Member States could – at least in theory – impose any restrictions (so long as WTO compliant, I guess, which doesn’t mean much). Whether they will or not is a different question. And different Member States might do different things. I’m really sorry that this is the best answer that I can come up with. One of the heart-breaking things about no-Deal Brexit is the levels of uncertainty, and lack of law (‘a-legality’) that it means. You can’t just rip the UK’s legal system from the EU’s like this: it’s far too enmeshed, and would have to be carefully unravelled over time: 40 years in, 40 years out.